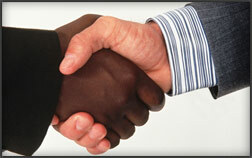 JHNet believes in BEE - Broad based black economic empowerment, and the social reform of South Africa. We have been BEE compliant since 2008, and have exemption status for a micro enterprise. JHNet Web Development is a level four BEE contributor, based on The BBBEE Codes of Good Practice verification standard. We are proud to be a "Value Added Supplier" to the industry, and to our clients, therefore allowing businesses to claim appropriate points.